Nancy Unsworth is the dynamic lead singer and song writer who shares her talents and wide vocal range in every event. She is a Nashville, TN, USA recording artist, a Canadian recording artist and a member of several international music associations including the Independent Musicians Association (IMA), Alberta Music Industry Association (AMIA) and The Canadian Academy of Recording Arts and Sciences of the JUNOS (CARAS). 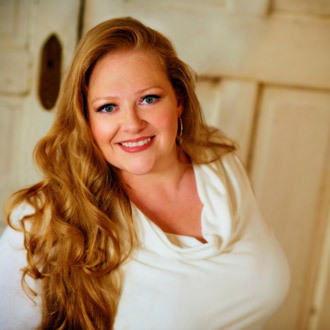 Nancy is classically trained and has enjoyed singing in various styles including folk, Celtic, country, blues, jazz, opera and all things gospel! Once she committed her life to full time service for the Lord her focus has been on blessing others through gospel music. Nancy's music can be heard on radio stations throughout North America, Australia and Vietnam. She is married to her high school sweetheart Larry and has two young children. Nancy has been serving the Lord through music and public speaking in Canada and the U.S.A. for many years and enjoys a busy life in Saint Albert, AB. RANSOMED UNION is an Edmonton, Alberta based five-piece gospel band including four part harmonies, keyboards, lead guitar, bass guitar, flute, and drums. The band has a unique mix of blues gospel, southern gospel and country gospel influences. Their music is a combination of traditional favorites, modern gospel, new originals and all music is live. Nancy and the band see their mission is to honor the Lord and bless others through their music ministry. Blessings, Nancy Unsworth International Gospel Recording Artist, Songwriter, Author, Artist, Mentor & Inspirational Speaker available on iTunes, YouTube & in select stores in Canada & the USA On radio stations worldwide including Canada, USA & Australia.